“At last! Big-time blues harp amplification for rack players! Jon Gindick is an American best-selling musical instruction author. His books, CDs, and videos on playing the blues harmonica have sold over 2,000,000 copies. He owns and operates Blues Harmonica Jam Camp, a 5-day blues harmonica retreat for players of all levels in Clarksdale, Mississippi and Ventura, Califoria. Most players know that cupping a harmonica microphone fattens your acoustic and especially your amplified tone. Unfortunately this is impossible for people whose hands are busy doing something else – like playing guitar, or for people with disabilities that prevent them from cupping a traditional mic. Rackit! cups the mic for you! And the built-in Bulletini® mic has already earned high praise from beginners to pros. You get world class tone, hands-free! In this photo, Jon is playing with the tone control end cap removed - for "bright" mode. Don't believe it? Listen to these pros! You've never heard harp in a rack like this! 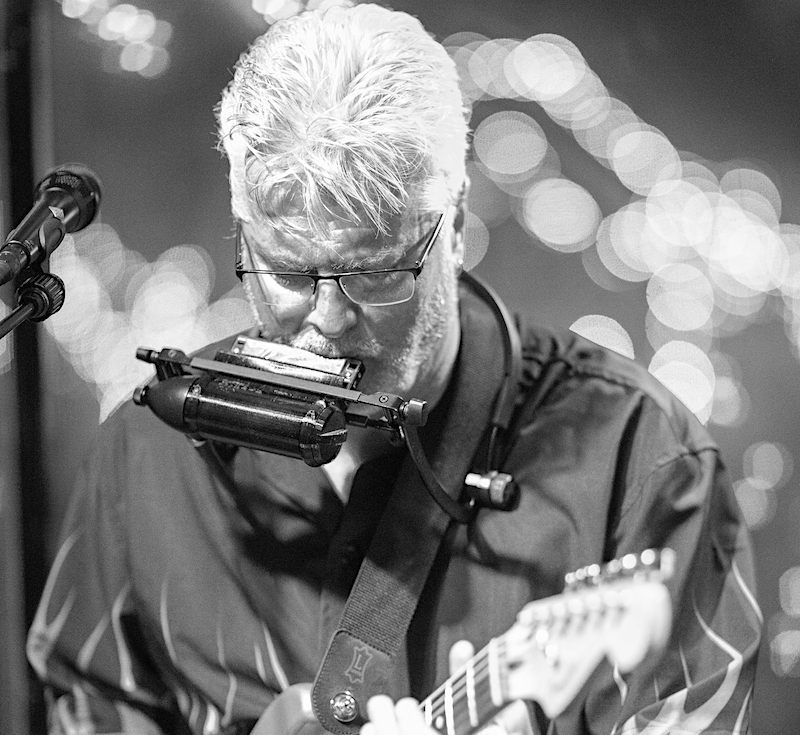 Brody Buster, winner of the Best Harmonica Player Award at the 2017 International Blues Challenge in Memphis, TN, has been featured on countless TV shows, including the Tonight Show with Jay Leno, Dateline, Crook & Chase, and the Jon Stewart Show. Even Baywatch Nights and Full House showcased Brody's talents. Brody has shared the stage with Quincy Jones, Keb Mo, Chaka Kahn, Lee Oskar and was a regular performer at B.B. King's Blues Club. B.B. was once quoted as saying, "Despite his age, Brody Buster is one of the greatest harmonica players of our time." TJ Klay is an extremely talented musician dividing his time between Nashville, TN and San Diego, CA. In this video, TJ is running through a Lone Wolf Blues Harp Attack pedal into a 1965 pre-CBS Fender black face Princeton Reverb. Juzzie Smith is a marvelous multi-instrumentalist juggling rack player and street performer from Australia. His one-man band performance videos on YouTube have millions of views and should not be missed. Jon Gindick is an American best-selling musical instruction author. His books, CDs, and videos on playing the blues harmonica have sold over 2,000,000 copies. 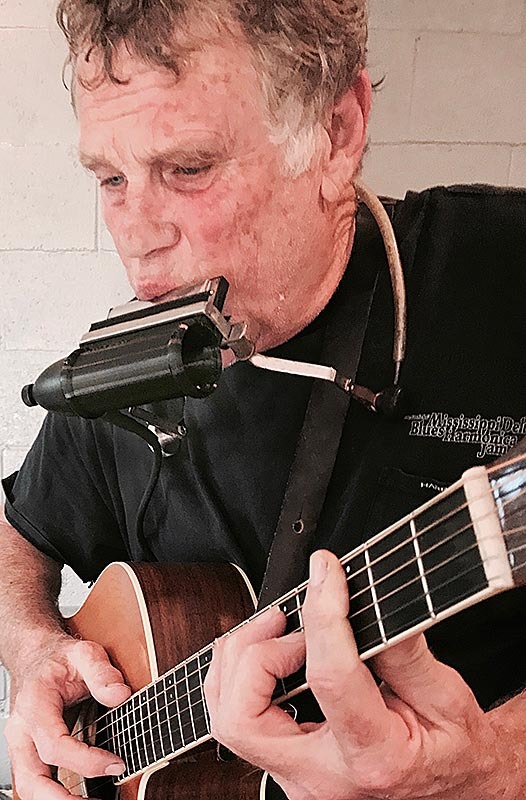 He owns and operates Blues Harmonica Jam Camp, a 5-day blues harmonica retreat for players of all levels in Clarksdale, Mississippi and Ventura, Califoria. It was Jon's book and accompanying cassette tape, that started me on harmonica eons ago. RJ Mischo is considered by critics and fans worldwide to be in the upper echelon of today’s great Harp players and singers. RJ started playing at the age of ten and by the time he was 19 he was working as a full-time professional musician. He began his career in the Twin Cities of Minneapolis & St. Paul, Minnesota an area that has spawned so many famous musicians. RJ cut his teeth with the legends of the Twin Cities’ Blues scene Percy Strother, Mojo Buford, Sonny Rogers, & Lazy Bill Lucas. Harry Harpoon's grandpa taught him how to play harmonicas at an early age. Later, along with his East LA bethren William Clarke, Rod Piazza and Lynwood Slim, Harry was fortunate to come under the tutelage of George Harmonica Smith. Harry has entertained legions of fans as a one man band throughout the Great Basin, from the California's Sierras to Western Colorado where he now resides. As part of Aria award winning Blues trio Collard Greens and Gravy, singer and Harmonica player Ian Collard has established himself as one of Australia’s leading blues artists. You'll notice Ian has the Rackit! 's End Cap fully removed for a fairly bright tone, and has taken advantage of the Rackit! 's ambidextrous flexibility to move the Bulletini mic to the left side. How clean does the Rackit! go? Here's a quick demo into a very dirty amp. Can I use a Rackit! together with a vocal mic? Yes! No problem. Here's Germany's Klaus Stauchulet, aka "Dr. Mojo" showing how it's done. He is using the Rackit! Stand Mount. With his powerful, sensitive voice, the blueness of the bluesharp, the guitar and foot percussion, he creates a sound that is rarely achieved by a single musician. Read What Rackit! customers say about Rackit! “Ever since I have been playing harp amped in a rack, folks want me to make them one. I asked Greg way back when I started "can you make one that will work like mine?" Well he did it. We went back and forth on a few things. And now it's just what everyone wants . Easy to change harps. Mine is not . And it has a volume control on it that mine does not. I think it is a great product. For everyone that is looking for big fat tone on a rack, it's a no brainier. If I wasn't so used to mine. I would use the Rackit!. I will sell them in my store, Mississippi Saxophones in Clarksdale.” ---Deak Harp. Deak sells the Rackit! out of his famous Mississippi Saxophone store in Clarksdale, MS.
Rackit! - if you already own a Bulletini or Bulletini-VC, you can convert it to a Rackit! * You can also use this model, in or out of a rack, to help hold and cup your harp. Players with disabilities can have trouble getting a pleasing, cupped tone from their harmonicas. Rackit! can be a great help! *To install your Bulletini, the Bulletini's grill has to be removed, and there are two way-too-easy-to-lose tiny screws that hold it into the Rackit! - so this isn't a swap you'd want to make during a performance. 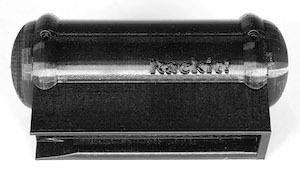 Rackit!-B - All of the features of the Rackit!, includes the legendary Bulletini microphone. Rackit!-BVC - All of the features of the Rackit!, includes the legendary Bulletini-VC microphone with built in volume control. All Rackit! 's come with removeable tone control end caps. 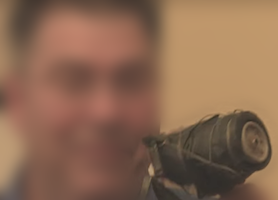 One is solid, the other has a hole allowing "wah" hand effects. When no mic is installed, install the solid plug at one end and the hole plug at the other - the hole plug is for your "wah" hand. When the Bulletini mic is installed, use the solid plug for "Huge" tone. Install the (holed) one for a slightly brigher, but still "Fat" sound with the possiblity of adding hand effects. For the cleanest acoustic tone, remove the end cap entirely. The following "shorty" cables allow you to "remote" a secondary connection by running the cable up and around your neck or over your shoulder. This eliminates the possibility that some combinations of adapters, plugs and wireless transmitters become long enough to irritate your chest while performing with the Rackit! in a rack. Note you can also use the screw-on to 1/4" cable above, into a "Direct Box" (aka "DI" or "Direct Input" box) - and from there to the PA. Sound guys always have DI boxes - that’s how they connect basses and keyboards to the PA. An XLR to XLR cable runs from the DI box to the PA.
Adapter Kit - For Farmer ArchTop and SideNote HarpHolders - includes steel attractor plate, mounting tape, adhesion primer and instructions. Learn more about this great rack at Farmer Footdrums' web site. Mounts Rackit! to vertical or boom-style mic stands. Rackit clips easily but firmly into the mount. Harp can be adjusted +/- 10 degrees independent of stand angle. Includes mount and 2 "star" thin 5/8"-27 lock nuts. My 1st choice is always the screw-on cable as it keeps the flexible portion of the cable as close to the mic as possible, which minimizes any restrictions on freedom of movement. Let me know your preferences and I will send you a PayPal invoice. Want to go wireless? You'll want to check out the Wireless Systems page and order the Rackit! Wireless bundle, or, if you already own a Bulletini, a wireless system and a Switchcraft 332 adapter. Once you know what you want, let me know and I will send you a PayPal invoice. Please tell me where you live so I can provide an accurate shipping quote. Weight: Rackit! -- 1 oz. *These racks may have L-shaped tabs that prevent a harmonica from moving too far rearward. In some cases you can rearrange the rack so these tabs are on the front side – in which case the Rackit! will fit just fine. Otherwise, these tabs must be removed or bent straight to accommodate Rackit! Rackit!. prevents your harps from moving rearward. 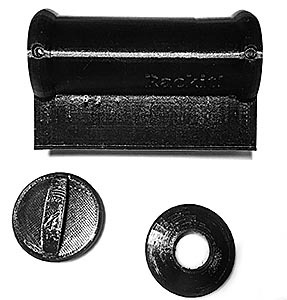 **The Farmer Footdrums magnetic racks require installation of an Adapter Kit, sold separately. 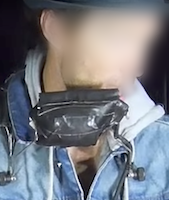 The kit provides a small steel bar with double-face tape that you mount in the “well” in Rackit!’s lower jaw to attract the magnet. The days of "roll your own" are over! Warranty: BlowsMeAway warranties Rackit! Microphones for 1 year from date of purchase.